Although there is no fixed criteria that distinguishes tactical watches from other watches, I would say that there are certain features that these watches have in common. When I hear the word “tactical” the first thing that pops on my mind is a watch that is big, strong and able to withstand the forces of high intensity action with the right functions to cater to the needs of the mission. Since I realized that not many people really talk about these watches I have decided to find the best tactical watch by comparing a few that caught my eye. No matter what your price range, i believe we got you covered. Let’s see what I have found for you! Night Vision INFANTRY was the first one I have come across. 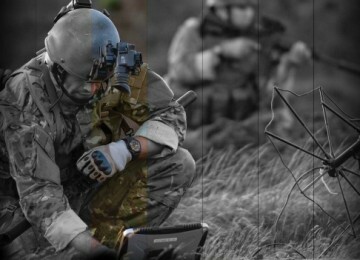 This is exactly what I envision when I think of tactical watches. 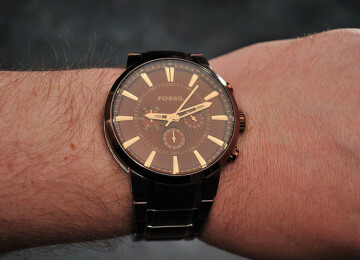 One of the things I like the most about this watch is its’s tough appearance. I feel like I can do anything with this watch and it still won’t break. It has a rubber strap with a simple buckle clasp. The case is made of stainless steel and has a diameter of 50 millimeters, 17 millimeters thick. The size is a clear indicator that you will be able to see the time, as this is one big watch especially made for big guys. The best part is that it has double display, both analog and digital, a feature I am not used to seeing. The dial window is made of anti-scratch glass making this watch a real survivor. From the additional functions it features chronograph, date and day display, an alarm, backlight and a stopwatch. If you are tight on budget and not looking for anything too technical that can with stand on ground boisterous temperatures, I would recommend this watch for you. The only downside is that it is water resistant only up to 99 feet so it can only withstand minimal splashes of water. 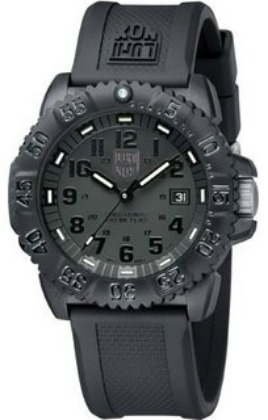 However, I still think its a great tactical watch for those who are really are really on a tight budget. You probably won’t be surprised by my second choice as Casio has been known for its G-shock collection. 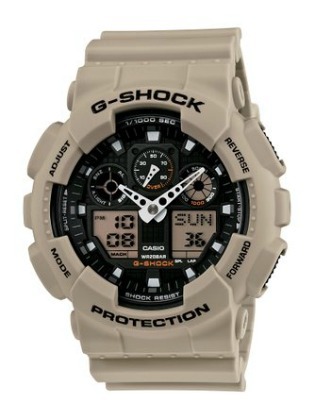 Casio Men’s GA100SD-8A “G-Shock Military” Watch is the real deal when it comes to tactical watches. 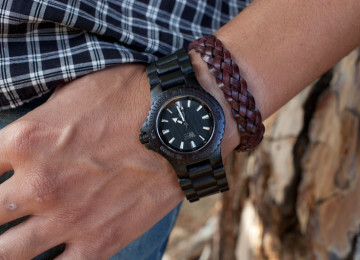 Everything on this watch is inspired by the best military watches, as the name itself implies. The entire watch is made of resin in sand color. 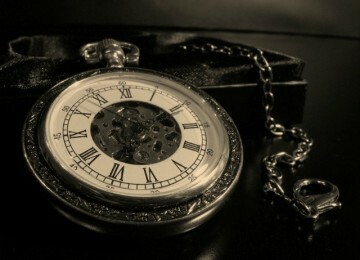 The case features a diameter of 50 millimeters and thickness of 29 millimeters, a big watch for sure. The dial is covered by a window made of protective mineral to enable ultimate protection during harder usage. This watch has all the additional features a tactical watch should have starting from the shock resistance, the auto LED light, the world time for 48 cities, 4 daily alarms and one snooze for those that have trouble waking up, a stopwatch, speed indicator, timer and a 24 hour format. On top of that is it water resistant to 660 feet so you can swim and scuba dive but avoid other in-depth diving. I must admit this is one of my favorite tactical watches as it is slick, low profile and has all the major functions at an affordable price. Timex has something different to offer, at least when it comes to the design. 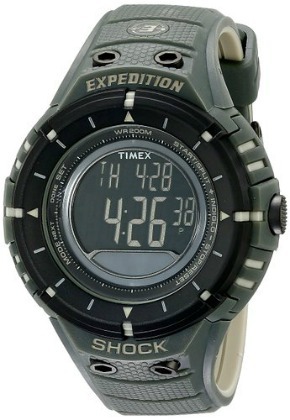 Timex Men’s T49612 “Expedition Trail Series” with its compass feature is a perfect companion for your hiking expeditions. The watch is made of resin in typical military green color. The case has a diameter of 48 millimeters and it is 16 millimeters thick. The dial window is made of acrylic crystal that can protect the watch from shallow scratches. The watch is shock resistant and although it might have been better if they have used a sapphire instead of acrylic crystal I do hope you would be careful once you get this watch. In addition it has a light mode feature that enables you to turn on the light by pressing any button on the watch. When the light is on it uses less energy than other watches of this type which preserves the battery and enables you to use it for a longer time. 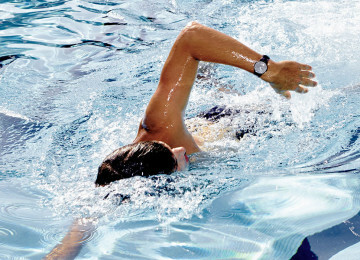 The watch is water resistant to 660 feet so feel free to scuba dive without any worries. 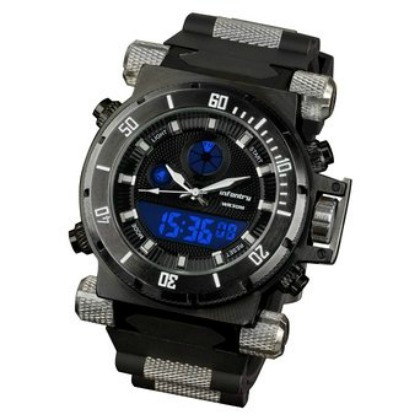 When I was looking for the best tactical watches I have come across a watch I barely knew it existed. 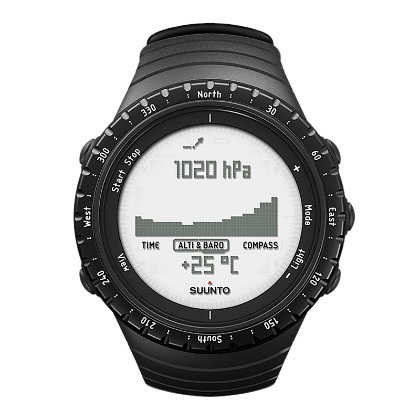 This watch is called Suunto Core Wrist-Top Computer Watch and it has every right to qualify as the best tactical watch. I am not sure if it can be even called a watch having in mind all the features it offers. It shows the time, dual time, the date and on top of that it has an alarm. 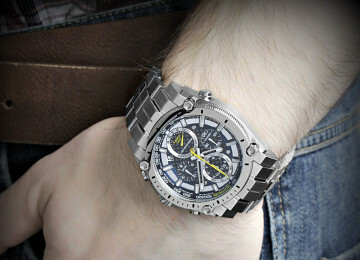 In addition it has sports chronograph features and a countdown timer. I already feel like I have said enough and I am not even half way through the options it has. On top of everything I have mentioned this watch has altimeter, barometer, compass, and depth meter for outdoor adventures and the sunrise and sunset times for 400 locations across the world. If this is not the best tactical watch than I am not sure which other watch would deserve that title. 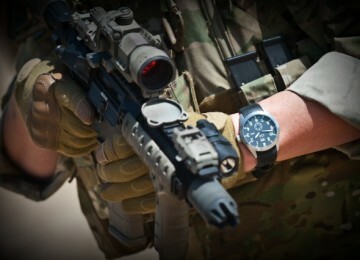 I will finish my search of the best mens tactical watches with Luminox Evo Navy Seal Blackout. Although this is probably the simplest watch of all mens tactical watches so far it still deserves to be mentioned. The case is made of fiberglass reinforced polymer injection molded into a case with a diameter of 44 millimeters and with 1.9 millimeters thickness. The band is made of rubber with plain buckle clasp. 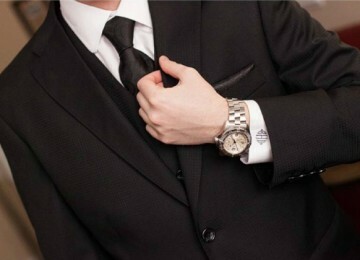 The entire watch is black with different shades to accentuate certain elements. On the three o’clock position there is a small display that indicates the date. The dial window is made of durable mineral crystal that makes sure your watch remains unscratched. One of the main features of this watch is that it is water resistant for up to 660 feet enabling you to swim, snorkel or even scuba dive. Now that I have presented you with my findings of the best tactical watches. 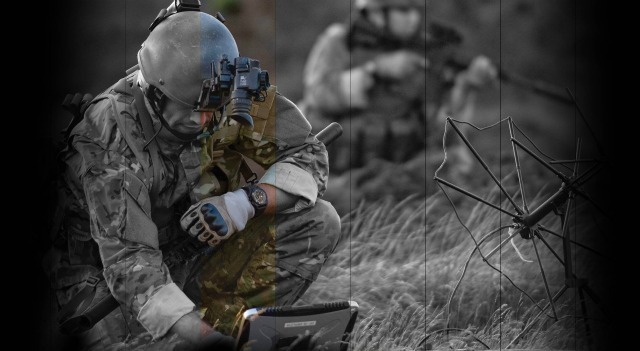 The best tactical watch for you would be dependent on your needs, budget and preference. I received positive feedback from them and whatever you decide to choose from i’m sure you won’t regret it. They all have features that qualify them as tactical watches and each have something unique that makes them stand out from the crowd.